The operator terminal offers a wide range of information. Operating status information and actual values such speed, current, frequency, torque, etc. can be read from the VFD. Various internal monitoring functions and the error memory in the VFD which can be read out from the operating terminal help to eliminate any malfunctions quickly and easily. Several variable frequency drive units can be networked within an installation using state-of-the-art fibre optic technology. This not only facilitates ease of commissioning from one service position, but also ensures that the installation can be monitored from a remote location by means of a communications module. This is the ideal solution for variable frequency drives that are difficult to access. The high-performance software makes any information that might be needed available at all times (e.g. actual values, operating statuses, process data, etc.). 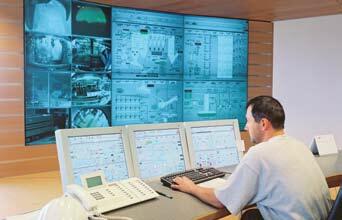 DriveWindow software makes commissioning even easier. The clearly structured user interface provides rapid access to all necessary parameters and actual values. Parameter files can be saved and loaded into variable frequency drives with ease for similar applications. Extended diagnostics functions (numeric and graphic monitoring) also provide a better overview for drives maintenance purposes. Extended to form complete pre-assembled application modules, variable frequency drives offer you further benefits for a wide variety of travel and lifting requirements. All components are designed to match precisely. They are arranged on a mounting panel that can be supplied both with or without a high-quality switchgear cabinet. All that remains is to install the VFD and connect it to the power supply, the motor and the control system. Gozuk specialists are pleased to advise you on operation in integrated systems comprising wheels, geared motors, VFDs and power supply systems. Application modules with integrated variable frequency drives are available as standard, extended standard and as customer-specific applications. These application modules provide you with further function solutions beyond those for standard VFD applications. Simultaneous operation of hoist variable frequency drives: This function enables two VFDs to be synchronized without a mechanical connection. 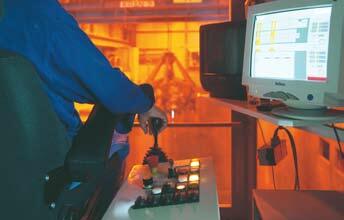 The positions of the rotors are continuously monitored and matched. 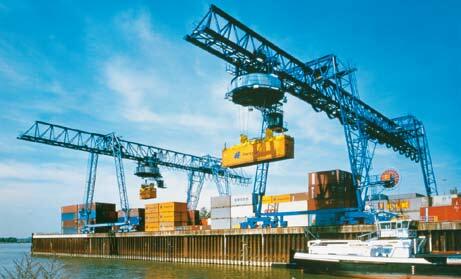 The VFDs of two hoists can be synchronized for handling long material, for example. 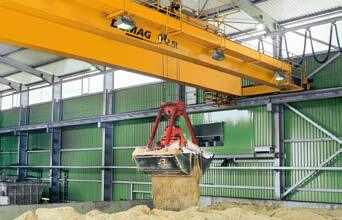 The hoists can be used separately by switching the function off at any time. 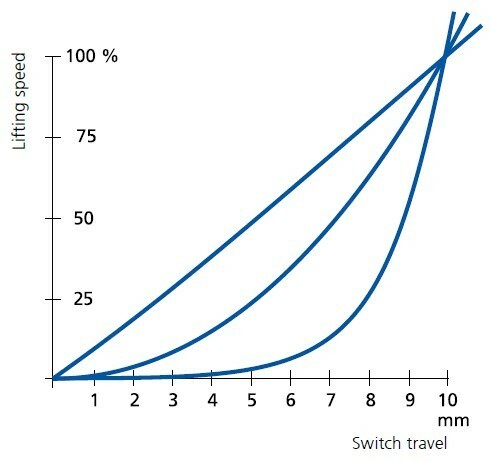 Load distribution: This ensures equal distribution of loads to two mechanically connected motors. The function can also be used for redundant applications. 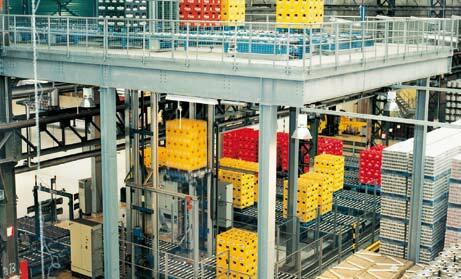 In addition, we offer further application solutions that are specially designed to meet your needs. Application modules are also available with power recovery units. 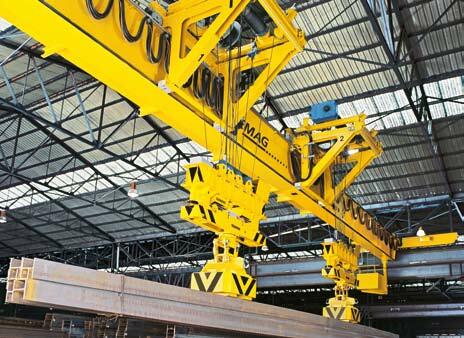 They enable the high energy generated when hoist units brake to be fed back into the line power supply (regenerative braking). Benefit from our many years of experience and utilize our consultation service regarding variable frequency drives.